Malaysia Looking to file Lawsuit Against Goldman Sachs? May was an important turning point in Southeast Asia. The corruption that has engulfed the previous Malaysian government centered around a sovereign wealth fund involving Goldman Sachs has rocked the entire Malaysian peninsula. The national debt, which was believed to have been $170 billion, appears to be more like $250 billion of 80% if the national GDP. 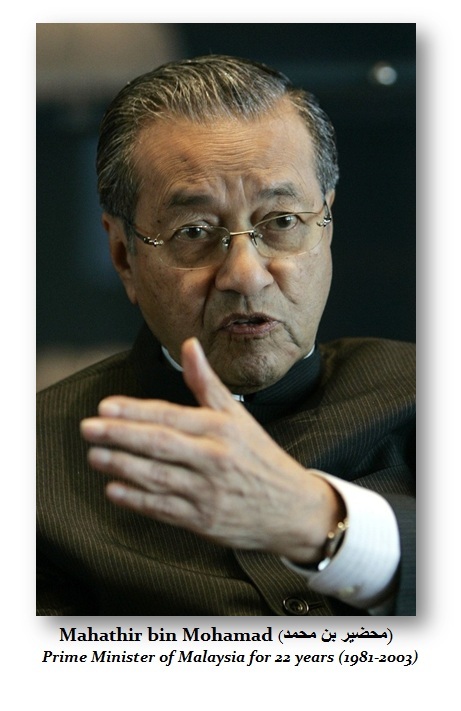 Prime Minister Mahathir Mohamad was sworn in on May 10th. When his aides first entered the government offices, they were confronted with a shocking sight. There were garbage bags filled with shredded documents intermixed with left-over food half eaten thrown everywhere. It was clear, the previous government sought to destroy all the evidence of their corruption. The new finance minister discovered computers that even the highest-ranking bureaucrats could not access. Computers were set up to prevent access by anyone other than one or two people. Evidence of massive corruption was what turned the election on May 9th, 2018. Goldman Sachs’ role, I wrote back in 2015, has been highly criticized in the Malaysian media and political circles after it emerged that 1MDB sovereign wealth fund paid hundreds of millions of dollars to the bank for helping it raise $6.5 billion in three bond deals in 2012 and 2013. Goldman Sachs earned around $590 million in fees plus commissions and expenses from underwriting the bonds, according to Reuters. The reported fees are highly excessive, nearing 10% when such fees are typically only 1% in bond underwriting. There is now talk about filing suit against Goldman Sachs for its role in this scandal. The likelihood of filing a lawsuit against them in New York City being successful is probably zero. They will have to deal with the most corrupt court perhaps in the world that is notorious for protecting its local banks – Southern District of New York and the Second Circuit. My recommendation is to petition the Supreme Court to bring the suit in Washington DC that they will NEVER receiver a fair trial in New York City and they should get on the phone to Donald Trump to start applying political pressure.